Small business, micro-business, and SOHO Banner Exchange. Welcome to Banner-Index a banner exchange service provider. If you are looking for fast, easy and free promotion for your website, this is the right place for you. Most small businesses, micro-business owners, or people with a website having a target audience related to small office and home office users, can join this banner exchange to get free promotion. 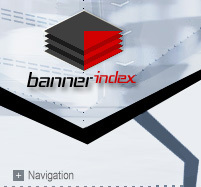 The Banner-Index banner exchange is a free service provided to help promote your own web sites. Your banners will be displayed and seen on thousands of web sites around the world. This Banner-Index exchange provides free advertising to those having a small-business related website in accordance with our agreement. By choosing a banner exchange that specializes in small business websites, you increase the effectiveness of your banner because it is appearing before a small office home office audience.